Updates for the mysterious Pikachu game reveal players team up with Pikachu to defeat a different, evil Pikachu. Pikachu quit its day job to become a detective. In the next 3DS Pokemon game, players will act as a detective with Pikachu by their side. 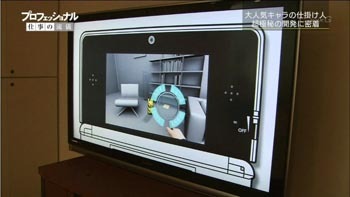 In a profile of Pokemon Company CEO Tsunekazu Ishihara, Japanese broadcast company NHK revealed a demo for the in-development game featuring Pikachu. Development for the game started over the summer, and the development cycle is expected to last two years, meaning the game will launch in 2015. The game was teased last week before the TV program aired today. A screenshot showed a Pikachu mimicking human facial gestures. According to Serebii, a talking blue Pikachu will be controlled through facial recognition and motion capture. In the detective adventure, the player will have to defeat an evil version Pikachu with the help of a Pikachu. Ishihara earlier stated he had concerns that the new game could damage Pikachu's popularity. During the program, Ishihara said he could not see people liking the enemy Pikachu. The game is still in early development, meaning many things could change by its release. Hopefully the facial recognition Pikachu won't be as scary as the previous screenshot showed. The program also revealed a beta version of a sequel to Pokemon Trozei! -- released in Europe as Pokemon Link! -- a puzzle game for the DS similar to Tetris. No details were shared about the game, but it will likely be a downloadable release. It's nice to see Pikachu has the luxury to take a break from shocking opponents in Pokemon to lend its skills for sleuthing.